Don't get me wrong, I love my original granola recipe. 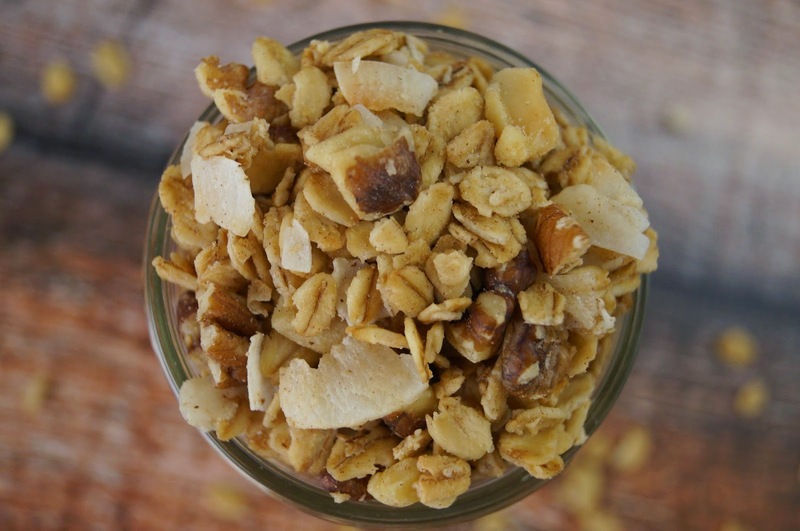 It's versatile and with a bit of nut and/or dried fruit change you can have it your way. 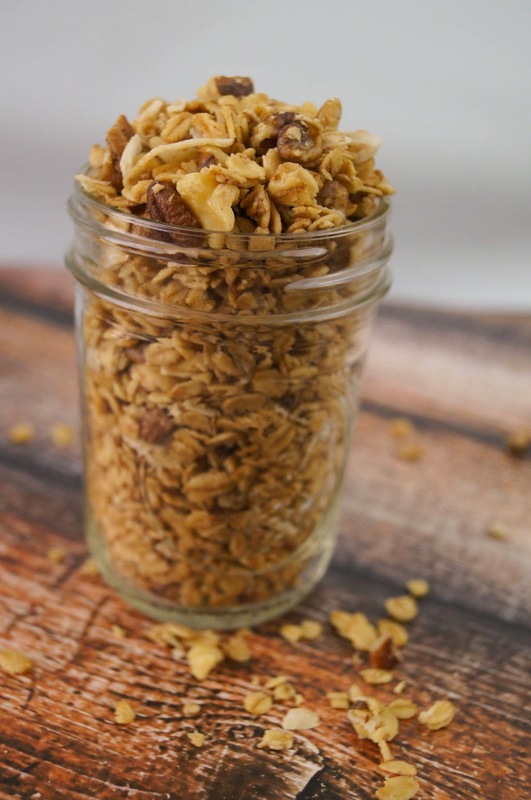 After having a bag full of a fellow Iowa blogger's granola treasure I knew I had to try and come up with a recipe that tasted like her granola. She had salt sprinkled in her granola and while I thought it was odd at first and a bit too much for me, I couldn't keep out of it. I've lowered the salt taste a little in mine but the flavor is still there and it's so yummy! Each salt has a different texture and size so start off with the least amount and see what you like. She also had mini chocolate chips so you can add them too if you like. I didn't have them on hand at the time I made the granola so I skipped it. 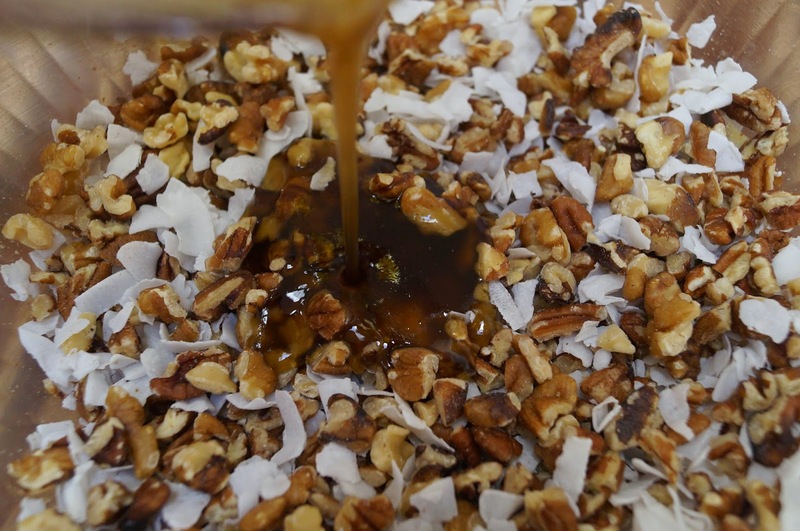 Add them after your granola has cooked and cooled or you will have a chocolate mess. 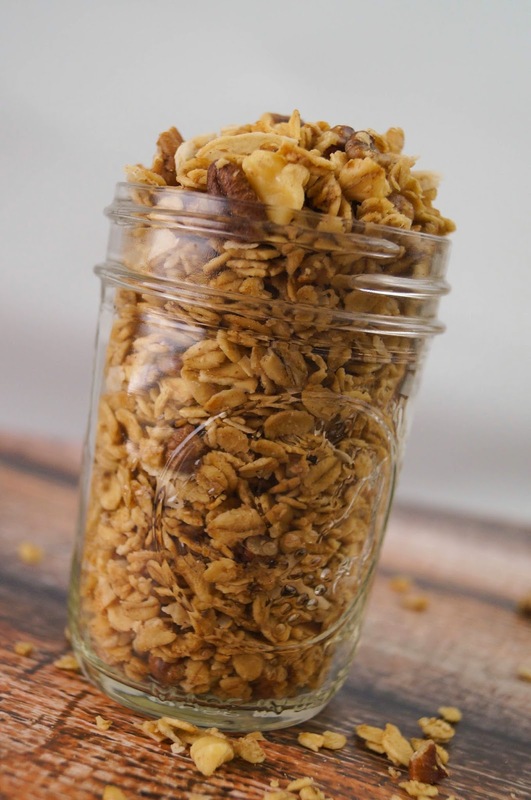 I named this recipe "Everyday Granola." Why? Because I could eat this everyday! I think this is the fastest we've ever eaten a batch of granola. I'll need to double it for sure next time. Preheat oven to 325 degrees. 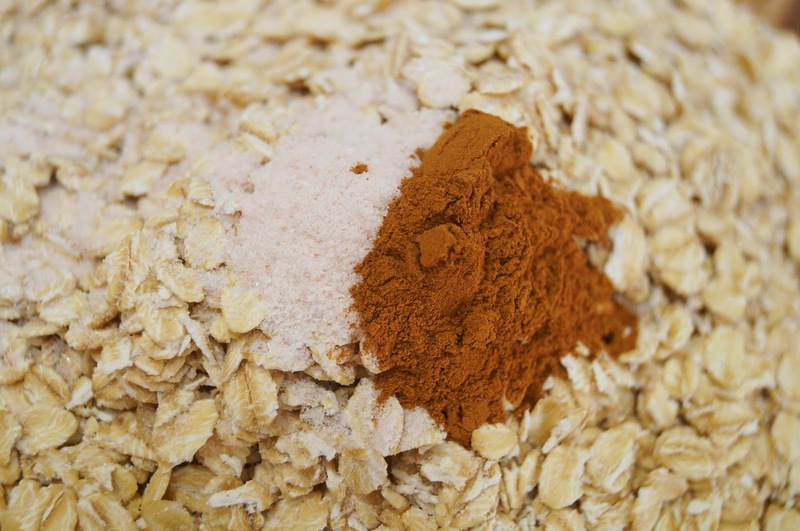 Mix together oats, salt and cinnamon. In glass measuring cup, mix together olive oil, maple syrup and vanilla. It thickened as I stirred but then I remembered it is due to the cold syrup causing the olive oil to firm up some. 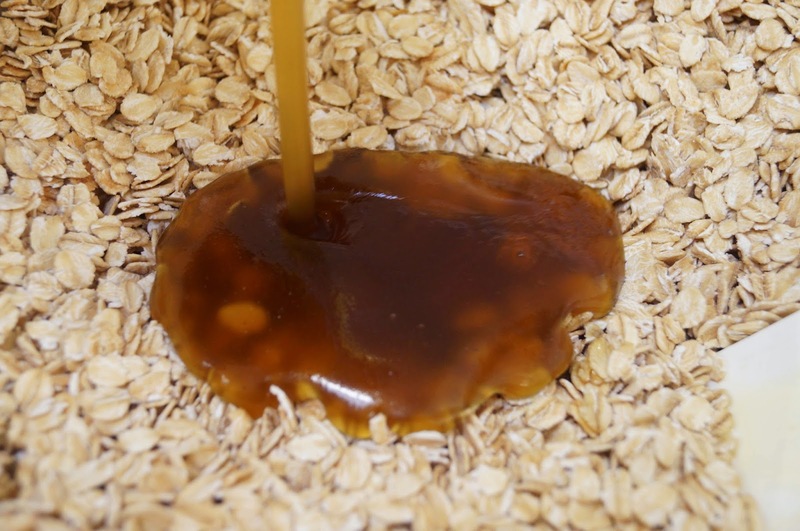 Pour all but 2 to 3 Tablespoons of the mixture into the oats. Bake for 25 minutes, stirring every 10 minutes or so. 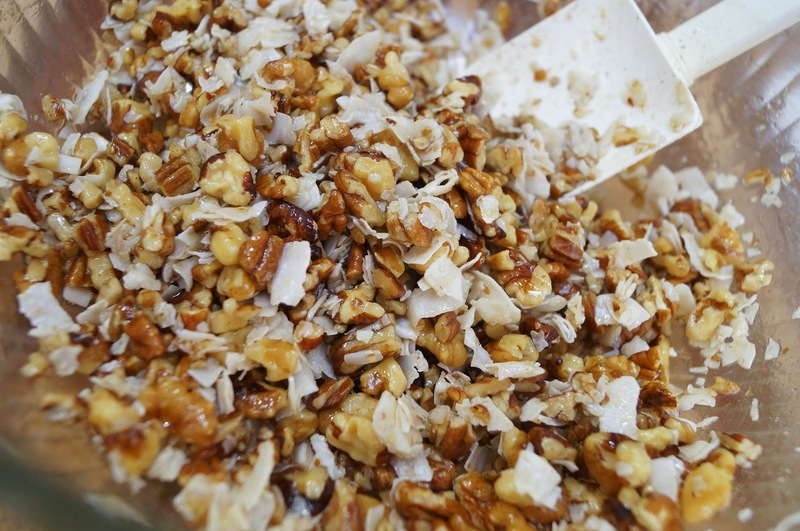 While the oats are baking, dump the rest of the syrup mixture into the coconut and nut mixture. When oats are done cooking at 25 minutes, stir in nut mixture. Return to oven for 7-10 minutes, stirring part way through. Careful to watch so your coconut doesn't burn. Remove from the oven and cool. Store in plastic gallon bag or other airtight container. 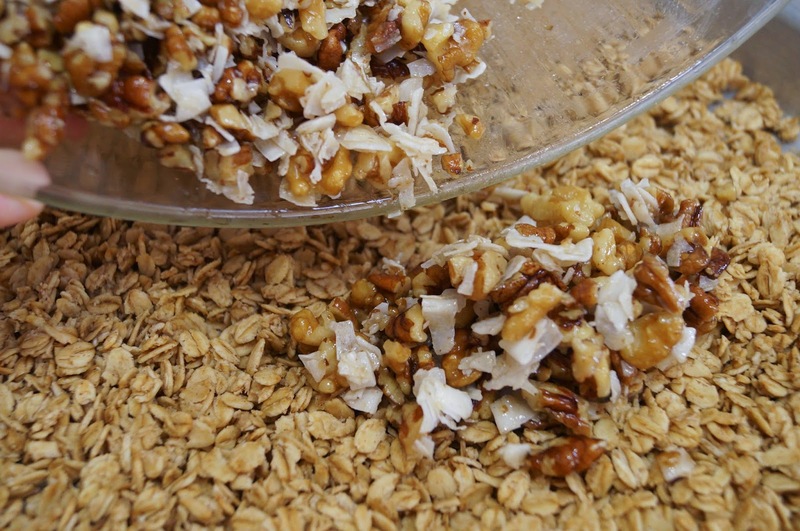 If you make a double batch you can freeze the cooled granola to enjoy later. I'm not a huge fan of tomato soup. My husband grew up on it. Tomatoes are easy to grow and easy to can. It's a cheap way to make soup. For a family watching their budget it was the go to meal. I remember his mom making it but not eating. She had had her fill of it. The rest of the family still enjoys a bowl full on occasion. Whether you likes yours with croutons, grilled cheese sandwiches or maybe cheese quesadillas, this soup will hit the spot! Roasting the vegetables gives it little bits of burnt, slightly caramelized edges. It adds a flavor cooking in a pot on the stove doesn't. If you're thinking "I've seen something like this on your blog before." You have. My Roasted Marinara Sauce starts off much the same way. The difference is the type of bell pepper and the amount of them is less. They are spread out more so it is is a thicker soup with less juices to dump off. 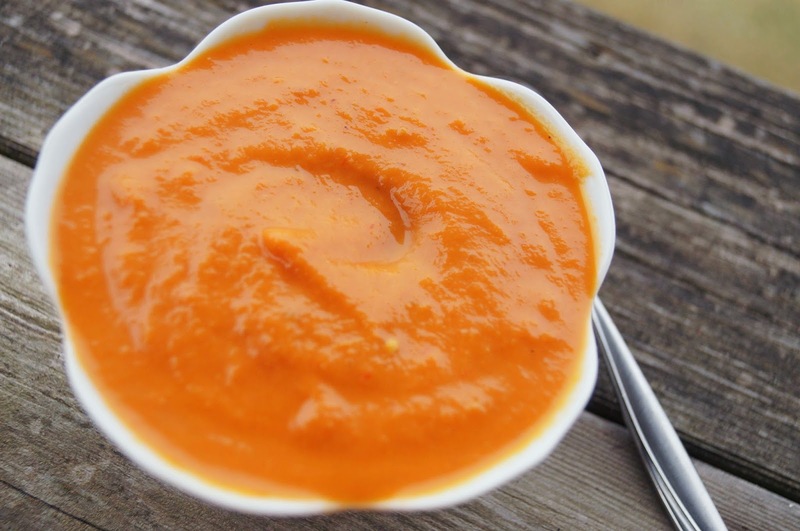 A fancy blender will give you a smoother soup but you can still do well with an immersion blender, food processor or regular style blender. Check out my tips at the bottom for your type of appliance. Soft, dense, ooey goey, frosted, plain or stuffed full of treats. There are so many ways to make brownies. 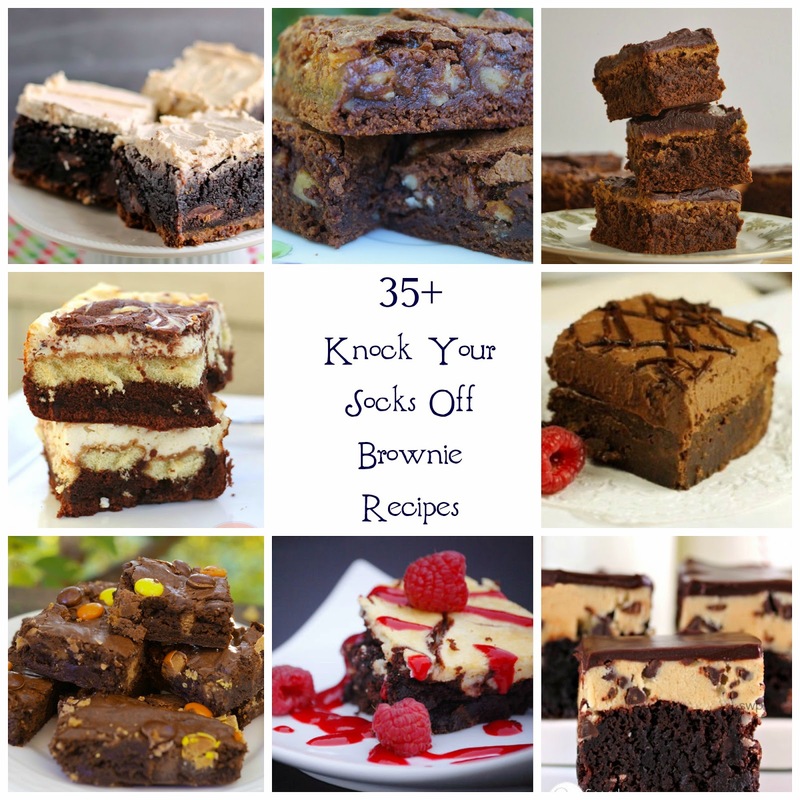 I've gathered 35+ chocolately goodness recipes for you to check out. Whether you like them plain or doctored up I know you will find a recipe here to try. I never seem to have enough cutting boards. I use them for everything from cutting fruits and veggies to raw meats and then a new board for the cooked meats. I know most of you don't have a need for a second one but since I have a special needs child with food prep needs I need that second board. 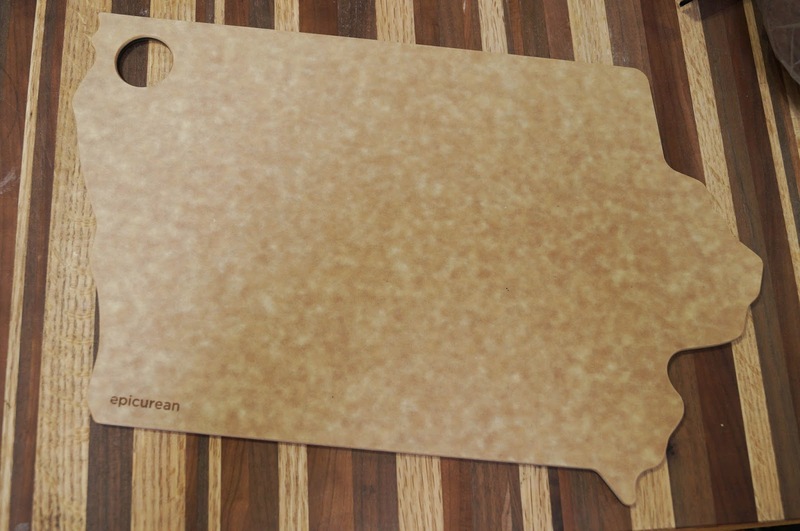 When Epicurean recently contacted me about their new custom designed shape boards I was intrigued. I could have any of 49 states (sorry Hawaii,) animals, fruits etc! I chose Iowa since I live there but if they had had a goat shape I might have chosen that. I saw these cookies at a local gas station one day when I came in get a bottle of water. The clerk told me these cookies were fantastic so I had to try them out. I have to agree, they were quite delicious. The next time I came to the gas station I found they had the cookies again. This time with an ingredient label on the package. To my dismay, there weren't strawberries in them at all. It was some concoction to make strawberry "bits" and a list of ingredients that was crazy long. The dried strawberries I found at the store are made of real strawberries and cane juice. I thought they tasted like fruit roll-ups! You can also find them online, but watch the ingredients and also make sure they aren't freeze dried. I set out to make a similar cookie so we can enjoy them at home. 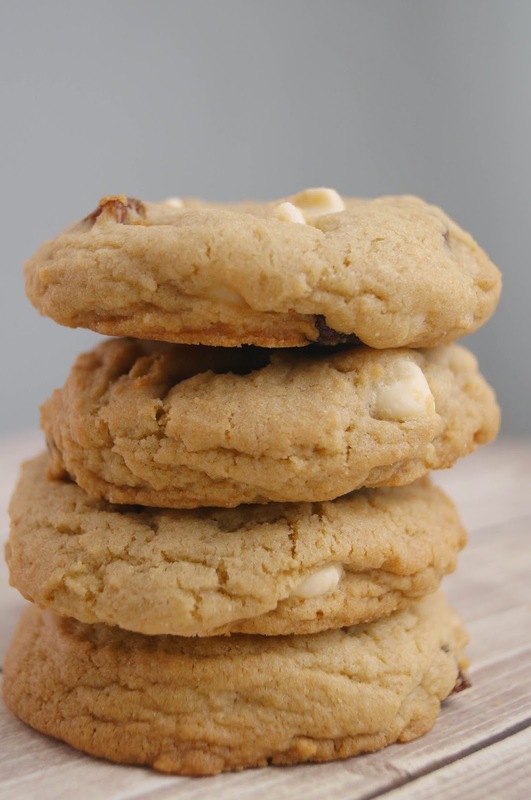 This base makes a thicker cookie than they had but are still tasty. 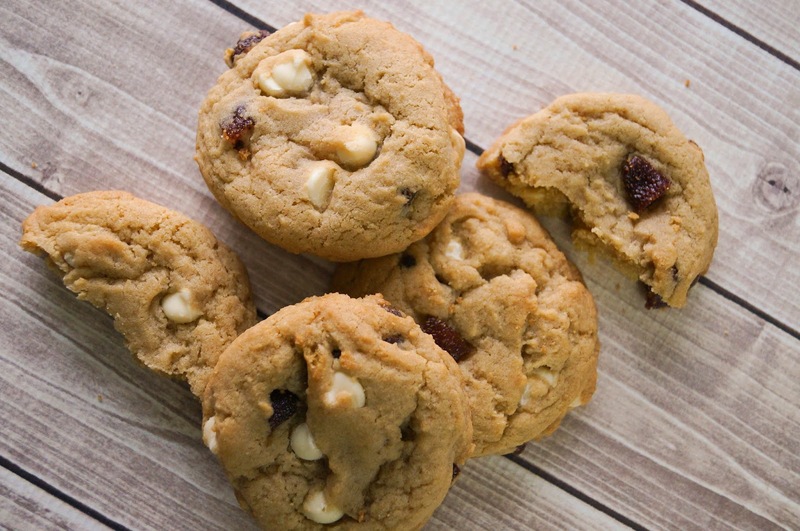 You could easily switch out the strawberry bits and white chocolate chips for other delicious add ins and have a whole new flavor of cookie.